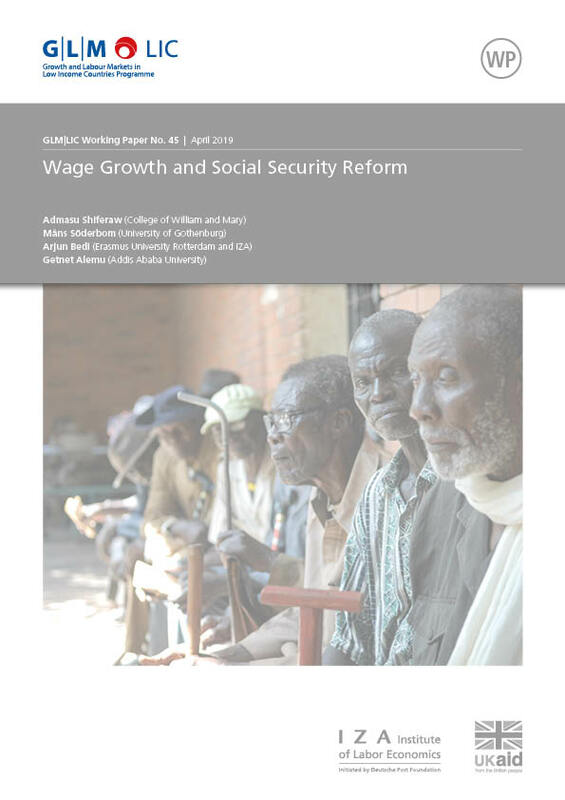 This paper uses worker-level panel data to examine the wage-shifting effects of a social security reform in Ethiopia. By relying on differences across firms in the existence of pre-reform provident funds, voluntary schemes that provide lump sum payouts to workers upon separation, we test whether employers have shifted to workers’ wages the cost of social security contributions. We find no evidence of such shifting as wages continued to rise significantly after the reform. However, we find that wage growth was substantially slower among employees of firms without provident funds after controlling for standard wage determinants. We also find that this reduction in wage growth affected only less-educated workers with no effect on more-educated workers. The paper also shows rising wage inequality at the lower-end of the distribution driven primarily by rising lower-tail inequality among employees of firms without provident funds.